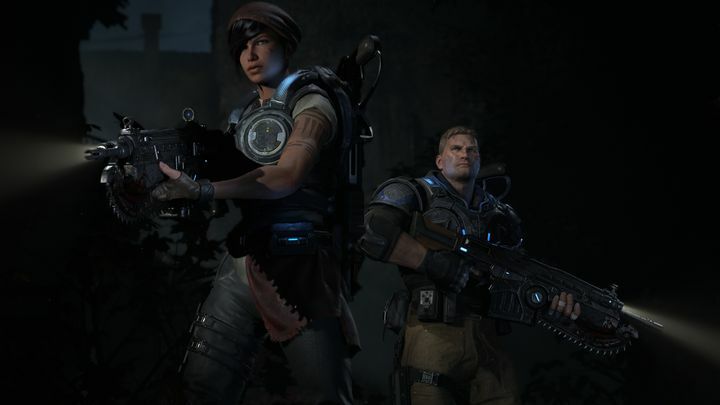 The Gears of War games have been some of the top exclusive video games that came out for the old Xbox 360 console, so fans of the franchise are likely excited about the upcoming Gears of War 4, which hits the Xbox One and PC next week, on October 11 to be exact. And recently the game has been previewed in Conan O’Brien’s comedic segment “Clueless Gamer”, in which he plays some of the hottest video games of the moment with well-known personalities from the world of sport, movies, music and of course, video games. We saw him play Ubisoft’s Far Cry Primal with YouTube star PewDiePie last February, and last June he played Blizzard’s hit Overwatch with a pair of Game of Thrones stars. In the latest segment, we see him have a go at Gears of War 4 with none other than Wiz Khalifa, the American musician and actor who’s well-known for music albums like “Deal or No Deal”, with Khalifa proving that he can play Microsoft’s third-person cover shooter pretty well in Conan O’Brien’s “Clueless Gamer”. Although world-famous comedian and talk show host Conan admits beforehand that he’s not that great at video games, but that he’s actually pretty good at Candy Crush… Nonetheless, this is definitely a funny segment that’s worth watching for its comedic value alone.